The birth years of the seven composers of electroacoustic music appearing here on this disc range from 1929 to 1952 so the original release by the Fennica Nova label cannot have been earlier than the late 1970s and I am guessing the record came out around 1980. (I have since realised the original release date was 1978.) Listeners will discover a very interesting range of soundscapes here though several do seem very restrained, even a little formal. All seven compositions are very good though some stand out more than others. It becomes a matter of personal preference as to which the seven tracks deserve more prominence than the others. Paavo Heininen’s “Maiandros” is a piano-based piece featuring jazzy-sounding piano experimentation and insertions of piano string manipulations. The sounds that emerge seem familiar and yet strange. Jarmo Sermila’s “Electrocomposition I” is an arresting space-ambient melody with strange bubble noises and a grand rising-and-falling finale. As its title, “Pisces” suggests, Jukka Ruohomaki’s contribution includes field recordings of the sea and amorphous methods and strange effects hinting at the numinous nature of the marine environment. Perhaps the best music has been saved for last with Herman Rechberger’s boisterous “Cordamix” which packs in string-based tunes from Greece, India, Japan and other places into six minutes of repeating cacophony. Hardly a dull moment is to be found here, even in those tracks where the music doesn’t jump out and threaten to drag you by the scruff of your mangy neck out into the blue yonder but instead is content to pursue its own path regardless of who’s following. The folks at Fennica Nova certainly had a good ear for electroacoustic music and knew a good piece when they discovered it. 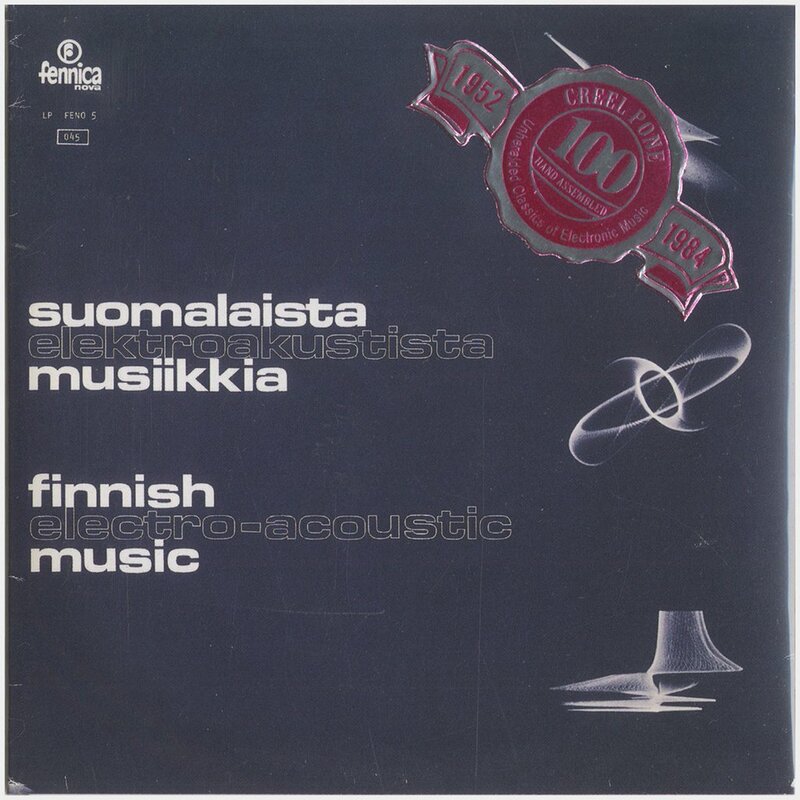 You wonder if this compilation represents a small snapshot of the formal electroacoustic scene in Finland some 30+ years ago.